We got a significant amount of feedback on our list issue pertaining to W2 Employees vs. 1099 Independent Contractors. This week we are continuing the discussion in more detail with information regarding the IRS guidelines for each, and how this affects the inflatables industry and your business. As suggested by the IRS, when determining whether work will be conducted by an Independent Contractor or an Employee you should consider three factors of control pertaining to the work and your business; Behavioral, Financial and Type of Relationship. Behavioral Control refers to the control and direction the worker will be given. An Independent Contractor is qualified as someone who the hirer has the right to control or direct the end result of the work, and not the means used to accomplishing it. Contrarily, with an employee you can control both what will be done and how this will be accomplished. Take into consideration the following when determining the level of behavioral control necessary to do a job; type of instructions given, degree of instruction, evaluation systems and training necessary to do the job. Financial Control refers to the control of the economic aspects of a worker. Independent Contractors generally provide and use their own equipment (including vehicles and necessary inflatable installation and setup tools). They are also likely to have unreimbursed expenses if a job requires such (i.e. gas, mileage), whereas an employee would be able to file an expense report with the company for a full return of their out of pocket money. An employee is generally paid by a regularly occurring paycheck of a set amount (either hourly, weekly or other period of time). Independent Contractors are paid a flat fee by the job, generally due upon completion of the work. The final factor, Type of Relationship, refers to how the worker and the business perceive and operate their relationship. This includes contracts, employee benefits, term of the relationship, and services provided. Generally employee benefits include insurance, paid vacation and sick days. However, not offering these benefits to a worker is not sufficient to make them an Independent Contractor. Hiring a worker with the idea that the relationship is indefinite is generally enough evidence to have the worker considered an employee. Contractors should be hired on a job-to-job basis with no long-term forecast for the future. Simply stating the status of a worker (either employee or contactor) in a written contract is not enough to determine the worker’s status with regard to the IRS. Instead the nature of the relationship between the two parties is what will determine this. Weaving the world of whether or not to hire an employee or contractor can be a tricky one. You need to evaluate your business’ needs and what you perceive coming out of the relationship. A general rule of thumb for the inflatables business is that if a worker is using a company vehicle and company tools it is best to go the employee route. One of the most frequently asked questions of anyone who is self-employed is always about how difficult it is to own your own business. The general assumption of the public is that it’s very difficult to be the owner, and operator, of your own business. The truth is, however, that this assumption is definitely one that needs to be altered. While there can be difficulties in operating your own business, the fact is that someone who bases a business in something like moonwalk sales is likely to have a great experience, as long as they do their homework. Before you can begin any sort of business you need to make sure that you are qualified to do so. This doesn’t mean that you need to have a college degree or a great deal of training in running or managing a business, but it does mean that you have to have the drive to want to work and the ability to do your research. Whenever you start a new company, be it in renting out products like a bounce house or any other type of company, you need to be willing to do some research. What kind of research do you need to check into? You need to first make sure that you have a market for sales. 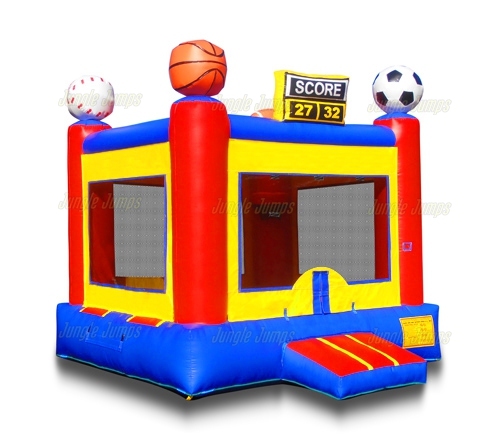 In most places it’s extremely easy to own a business that rents out items like a bounce house, because there are many applications that it can be used for and not very many companies who offer rentals. But before you begin the business it’s best to make sure that you have a client base ready and willing. You also need to research the products thoroughly. There are many places where you can find moonwalk sales, but this doesn’t mean that the items are high quality. If you’re going to be owning a business that rents out a product, you will definitely want to ensure that the product that you’re relying on for your income is extremely high quality, as this lessens the chance of it breaking down or falling apart. So research each company that you’re deliberating purchasing from, and the many different products available, before you begin your endeavor. Owning a business is not really that difficult. Starting a business can be challenging, but if you have the drive, and the determination, to be your own boss, you’ll soon find that with some research, things fall right into place. Every business is cyclical, and the inflatables industry is no exception. There are times when you may be so busy that you have no choice but to turn business away, and then other times when you are just waiting (and hoping) for the phone to ring. Unfortunately despite your sales revenue from month to month many fixed costs may remain the same. However, the cost of workers does not have to be seen as a fixed cost. As an employer you have the option to hire workers, particularly delivery and set-up staff, as 1099 Independent Contractors, as opposed to W-2 employees. A W-2 employee is paid by your company’s payroll with the necessary taxes withheld, including applicable employer taxes. An individual working on 1099 status is actually considered to be self-employed and hired on a consulting basis for you. There are many benefits to hiring your set-up and delivery staff as 1099 Contractors. While an independent contractor may be paid a higher hourly rate, in the long run your business will probably save money. By eliminating “employee status” you will save on social security taxes (independent contractors are required to pay Social Security as both the employee and employer themselves), state unemployment and workers’ compensation insurance. Another tremendous advantage for hiring 1099 Contractors to staff your inflatables business is that you have much greater leeway in staffing restraints based on your current business conditions. Independent contractors can be hired to perform setup and/or delivery functions for a particular event only. This eliminates the need to have idle staff during down-times. This also saves you any headaches and expenses of potential lawsuits that often accompany firings and layoffs. While advantageous, there are also some downfalls to employing independent contractors for your inflatables business. You will have less control over your workers. Independent contractors tend to be just that, used to working independently. Using independent contractors as needed for events also means that your turnover will be high, with workers continuously coming and going. Another disadvantage to hiring an independent contractor is liability. If the contractor is injured while working for you they are not covered under workers’ compensation, as a W-2 employee would be. This gives them the right to sue you to recover damages based on an injury that may occur while working for you. To protect yourself, keep in mind that you should have a written contract with all 1099 Contractors outlining the expectations and work that they will perform. This contract should also include fees or costs that your business will pay and how the contractor will be paid. For additional details on the difference between a W-2 Employee and a 1099 Independent Contractor visit http://www.irs.gov/Businesses/Small-Businesses-&-Self-Employed/Independent-Contractor-(Self-Employed)-or-Employee%3F. Take a look at your inflatables business and determine whether the best route for you is W-2 Employees or 1099 Independent Contractors.